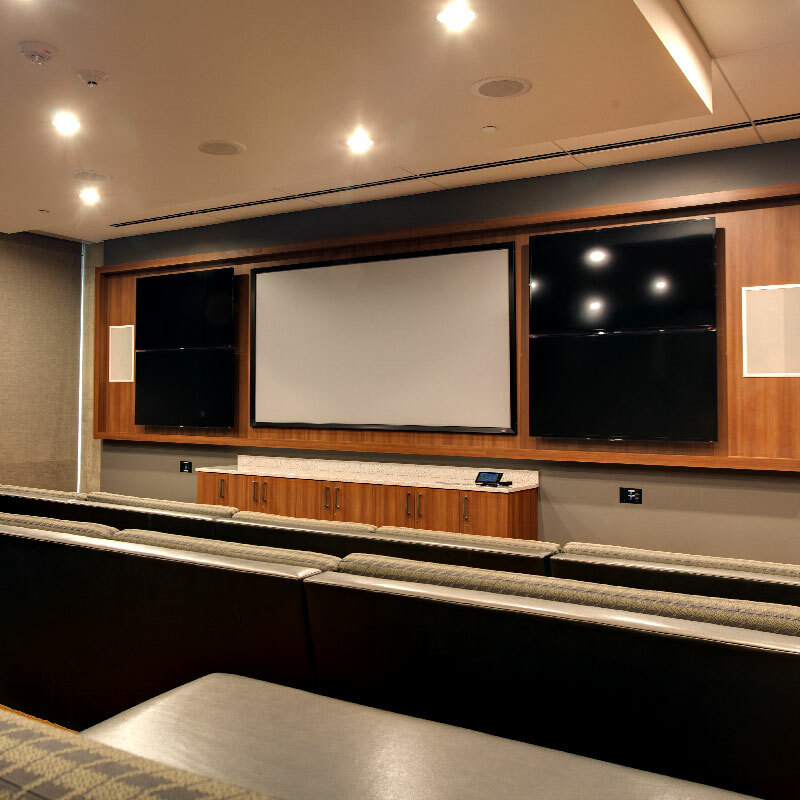 The Clarion projection screen is permanently tensioned by stretching a viewing surface behind the bevels, black aluminium frame. This newer design is quick and easy to assemble with no snaps, resulting in a flatter viewing surface. The Z-clip wall mounting brackets are included to simplify installation. The Clarion's aluminium frame forms an attractive 2" (5cm) border, for a clean, theatre-like appearance. •	Viewing surface is flat and that means perfect picture quality. •	The Clarion’s aluminum frame forms an attractive 2" (51mm) border, for a clean, theatre-like appearance. •	The fabric attaches to the frame without snaps or tools, forming a perfectly smooth viewing surface. •	Standard black frame may be covered with velvety black Vel-Tex, which virtually eliminates all reflections on the frame. •	See available sizes based on surface selected in charts below. Custom sizes available upon request. •	Warranted for one year against defects in materials and workmanship.